My Psychiatric Partner (MPP) provides patients with high quality psychiatric treatment utilizing telemedicine, which is medical care delivered via webcam. We offer care directly to patients at home, and also offer telepsychiatry services to facilities needing access to psychiatric providers for their patients. We are pleased you have chosen us for the care you need. Feel free to contact us anytime as our service is a very personal one, and we are always here for you. Welcome to MPP! If you are a patient or family member wanting to schedule a psychiatric visit at home, or interested in learning more about our unique in-office services, click this box. If you work for a CMHC, FQHC, Recovery Center, Practice or Outpatient clinic and need access to quality psychiatric care for your patients, click this box to learn more. My Psychiatric Partner offers telepsychiatry visits, allowing you to conveniently and affordably receive an evaluation and ongoing treatment for your condition over video, from wherever you are. Simply click the orange button below if you are a patient wanting to set up a visit for yourself, or wish to set up a visit for a family member or friend in need. MPP offers four other services for patients besides telepsychiatry visits – IV Ketamine Therapy for depression and chronic pain, Botox Therapy for Depression, Suboxone Therapy for opioid addiction, and Medical Marijuana assessments and recommendation. These are not performed by telepsychiatry, but only in person at our Dublin office location, and can only be scheduled by contacting our administrator. If you work for a clinic, facility, or practice and want to learn more about setting up our telepsychiatry services there and having our providers see your patients for you, click Learn More below. While telemedicine is incredibly convenient and improves your access to care, the even greater benefit of working with us is our commitment to quality treatment. Each provider is trained and supported by Dr. Richard Nockowitz, a Harvard-trained psychiatrist and the founder of this service, and works closely with him to ensure precise diagnosing and effective medication strategies. With their help you or your patients will receive thoughtful and thorough treatment that is focused on remission and stability. You will also receive unmatched support and communication from Cynthia Neubert, who is the co-founder of this service and an expert in practice management and organizational efficiency. Psychiatry is a medical specialty dedicated to the diagnosis and treatment of mental disorders. 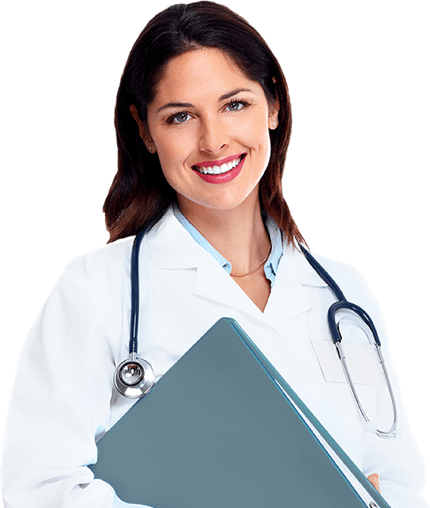 Psychiatrists are Doctors of Medicine, and Nurse Practitioners are Masters of Science in Nursing with Advanced Practice prescriptive authority. Both are trained and certified in the use of medications to treat mental health conditions, and MPP offers the best providers in both disciplines to provide you with great care. Telemedicine is the use of electronic communications such as videoconferencing or telephone to provide medical care. Telemedicine via videoconferencing is now a widely used and accepted means of patient care, and research shows that it is as effective as a face-to-face visit, and certainly more convenient. At MPP, we believe telemedicine is especially effective for the practice of psychiatry for several reasons. First, unlike other medical specialties, in the field of psychiatry safe and effective assessment and treatment does not typically require a hands-on physical examination. That, together with the advances in the quality and reliability of videoconferencing, makes telemedicine a perfect way to deliver psychiatric care. Additionally, being able to receive care remotely in the comfort of your own home both alleviates anxiety or shame barriers associated with visiting a psychiatry office, and greatly enhances the patient’s sense of privacy and security. Telepsychiatry is the practice of psychiatry using telemedicine. What is the Difference Between Psychiatry & Psychology? Whereas psychiatrists and psychiatric nurse practitioners are medically-trained clinicians who prescribe medications for the treatment of mental disorders, psychologists are non-medical professionals whose training and practice is focused on psychotherapy, or talk therapy. My Psychiatric Partner (MPP) specializes in the medication treatment of psychiatric conditions, and does not offer talk therapy by itself. However, as some patients need both medication management and talk therapy to improve, we are always happy to recommend psychotherapy resources to our patients when needed. Feel free to schedule an evaluation with us to help you determine the kind of treatment you need.